DM2 Security Alarm Company serves Central and Northeastern Pennsylvania including the counties of Lehigh, Berks, Carbon, Lebanon, Luzerne, Lycoming, Monroe, Northampton, Northumberland, Schuylkill, Bucks and surrounding areas. With two offices operating out of Allentown and Frackville PA, we are able to serve our clients throughout the state. We have been installing security and fire alarm systems as well as surveillance equipment, card/door access, two-way voice medical alert systems, and intercom systems for over 35 years. We provide all phases of Security Alarm Company services to residential, industrial, commercial, educational and institutional facilities. DM2 Security specializes in electronic protective systems and equipment ranging from basic residential intrusion and fire alarm systems to sophisticated closed circuit television and door access systems. 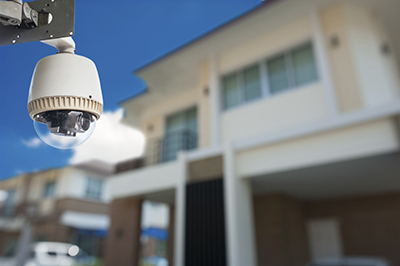 Our security technicians are experts in the security system industry, meaning not only do you receive the best in-home security systems, commercial systems, and more, but also the best techs to install them and handle your every security need. DM2 Security offers 24 hour monitoring by a fully certified UL (Underwriters Laboratories) listed Central Station. You need security around the clock. DM2 Security provides 24/7 security monitoring service when and where you need it. If we can’t handle your issue over the phone, we will have a technician come to your location to solve the problem. We pride ourselves on superior customer service and we feel that once the installation is complete, our job has just begun! DM2 is committed to your security. DM2 Security is fully insured and certified with the Commonwealth of Pennsylvania Office of the Attorney General as a Home Improvement Contractor, #PA015448. DM2 Security is also a member of the NBFAA (National Burglar Fire Alarm Association), PBFAA (Pennsylvania Burglar Fire Alarm Association) as well as an A+ Rated member of the BBB (Better Business Bureau®). We are proud members of the Schuylkill Chamber of Commerce as well as the Greater Lehigh Valley Chamber of Commerce. We are a registered Business on Angie’s List© and you can also follow us on Facebook. We look forward to hearing from you, please call our offices in Frackville and Allentown PA today to schedule your consultation at 570-874-3333.